When was the last time you really treated yourself to something? Are you happy about it? But here’s the thing – if we’re not already spending our money/time towards these “wishes” of ours, do we actually really deep down WANT them?? And if we do, why aren’t we making any progress towards them?? Only you would know the answer to that, but something tells me it has something to do with “responsibilities” and “adulting,” along with a sprinkling of “ain’t nobody’s got time for that” ;) Which is why these FREE wishes being handed out are so exciting!! Because someone will just HAND THEM TO YOU without any effort or compromising required! But here’s the part where I implore you to still do nice things for yourself no matter how big or small they may be. There’s a million things we spend our time and money on every day (and all towards an equal amount of varying people too! ), but it’s also important to make sure WE’RE being treated well along the process. And it doesn’t require any overly complicated processes! We don’t need any CEO fairies to grant our wishes, but we DO need to be champions for *ourselves* and remember to actively incorporate it into our lives! And don’t forget that MONEY IS ALLOWED TO BE SPENT too!! It doesn’t always have to be maximized or applied “responsibly” all the time… If you’re working hard at your priorities, try to make it a point to work hard on your dreams too. We’re allowed to splurge every now and then! When was the last time you really treated yourself? And are you happy about it? Answer for me: I’m happy now, yes! But it hasn’t always been the case… I’ve gone back and forth during periods of my life from overly obsessing about money to spending it all without much care, but I think I’ve finally gotten a good handle on it now, and can confidently say it’s much more fun to treat yourself while you’re working on your goals than when you’re not ;) And the last time I treated myself was yesterday! But you already know what I splurge on these days so I won’t bore you with the details, but let’s just say I’m still on track to win the “beat last year” budgeting challenge, haha… Which is another way to keep your dreams alive actually – giving them a line item in the budget! That’s a really smart idea by the CEO. It also highlights the lack of discipline that still exists in people managing their finances. As you point out, if we had a handle on them, we could simply put a line item in our budgets and save for these things. Unfortunately, many don’t. I love how you find these nuggets. You always seem to come up with unique stories. Well done. There is an unacceptable lack of Parks and Rec Treat Yo’ Self memes in this post. Anyway, there will be time for treating myself after my kids are grown, There are a number of things I used to love, like cars for example. I really don’t care about them at all anymore, even though making them fast was a personal passion of mine in my teens and early twenties, I just see it for what it is now, a huge waste of money. I even went through a motorcycle phase, took a course and got my license, but when it came down to it a motorcycle was just another waste of money, so I never bought one. I think the experience of learning how to drive one was all I really wanted. Anyway, I’m just typing down things as I think them at this point. I just don’t really seem to care about things anymore. The only material items I buy are home improvement stuff and even then its to serve a purpose like finishing my basement. Wow! Paul, you and I are on the same page! I love cars (still research them online) but it would be ridiculous to buy a new one. Yes, I love the new 2019 Lexus ES 350 F Sport. BUT, do I need it to drive 4 miles to my job every day that hopefully soon I’ll be FIRED from…hell no. My treat this month was paying a painting company to paint a stairwell hallway with very high ceilings. It cost a bit more to hire it out but it looks beautiful and I didn’t break a leg falling off a ladder awkwardly set up on stairs (potential savings of $3,000.00 medical bills..haha.) Priorities change. HAHAHA! Bryan, I’ve got a 16ish foot hallway leading to my basement I’m dreading getting on a ladder for, I cant do any of the corner work without risking my life or paying someone. Oh well, if I stop posting on here within a few weeks I guess you know what happened to me… although, I may just pre-paint some crown molding and shove it up there to minimize the amount of ladder time. If I can avoid caulking and make a solid attempt at a copped joint vs a mitered one, it could save a lot of time. that’s a big IF though, in my experience all my crown has looked like garbage until it was caulked and painted. Haha..that’s what mine was too…the staircase going to the basement. Life is funny isn’t it. At one point you’re excited to get a new bicycle, then a new pair of Jordan’s, then a cool car, now…fun is doing home improvement projects and fixing things and looking back and saying…I did that myself and it’s much more satisfying than buying some fancy new overpriced shiny object that you won’t care about in a year. This summer my wife and I are treating ourselves to our 2nd ever vacation that isn’t centered around visiting family (we’ve been together 14 years [married 9 of them]) !!! Our Monster Vacation Fund is basically the dream fund. 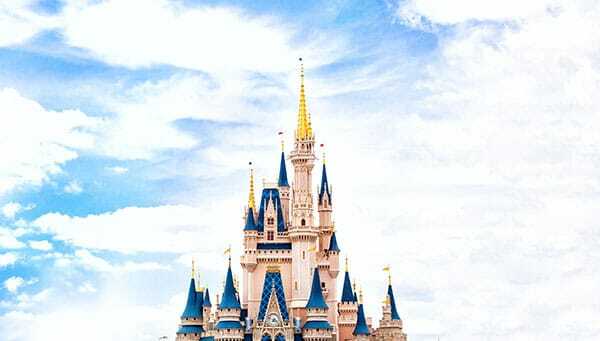 We’re saving $25/week in a brokerage account and plan on spending that money on Disney World Trips with our kids while they are young enough to love going (probably 6-8 years from now). Yayyyyy!!! Dreams that involve quality time with people are the best!! I lost my mother and grandmother in the last few years and inherited several pieces of jewelry from both (they liked everything from gaudy costume jewelry to the expensive stuff). I realized several, well most, of the pieces were nothing I’d ever wear and they were going to spend decades collecting dust. This fall, I went to a local jeweler and had five small diamonds taken from pieces from both of them as well as my own gold band. I had a simple, custom right hand ring made that I can wear every day that has many layers of sentimental value that ties across 4 generations. I offset the cost with the scrap value trade in from the settings, but still spent a few hundred dollars to do it. I love the ring, am in a good financial position and I don’t regret having done it for a minute. That said, I still occasionally struggle a bit with how frivolous it felt to spend money on jewelry and try to compartmentalize those feelings away. I also feel awkwardly flashy when I wear it sometimes (I think MMM talked about that with how he would feel driving a new car). But how incredible that your ring covers *4* generations now!! So beautiful!! Imagine if your kids later inherited it and then added to it, and then their kids and their kids – you’d have one massively sentimental (and valuable) ring by the end, haha… I love that you did that with them so much :) Even just the fact that they are being *used* now vs taking up space. We treated ourselves to our 1st vacation in almost 15 years last summer. 5 days. Drove a few hours away to a historical city & did quite a bit of site seeing. Spent $1100 total including boarding our 2 dogs for the first time. Hope to NOT wait 15 years till the next trip! We also treated ourselves to a much needed $400 bookcase (used part of our tax refund). Finally found a place for several boxes of books that sat in the closet for 4 years since we moved. I’m treating myself to home improvements and furnishings, for my upcoming new home. I’ll so love it when I get it. The lovely kitchen and the automatic blinds are a big chunk of it… I’ve spent about €8k so far in down payments, and have a little more budgeted for the rest. That’s the bulk of my savings now, except for the emergency fund. So quite a treat. Congrats on the new home!! Always exciting stuff! In 2015, I discovered travel hacking and have been hooked. I grew up poor and never really went anywhere so I’m concentrating on my bucket list (with a few recommendations from the kids — they want to go to Japan). That’s how I’ve been treating myself….I do want a couple of “newish” handbags that have been sitting in my ebay cart, but I can’t bring myself to spend the money.